Product prices and availability are accurate as of 2019-02-23 14:33:21 EST and are subject to change. Any price and availability information displayed on http://www.amazon.com/ at the time of purchase will apply to the purchase of this product. When newlywed Sydney Cooper finds herself drowning in suspicion that her husband of three weeks is having an affair, she tries all she can to get to the bottom of his unusual behaviour. Desperate to keep her man, she tries everything she can to keep their marriage afloat; easier said than done when her husband Jake seems hell bent on ruining everything. As Jake becomes more distant, Sydney’s concerns for her marriage continue to grow. 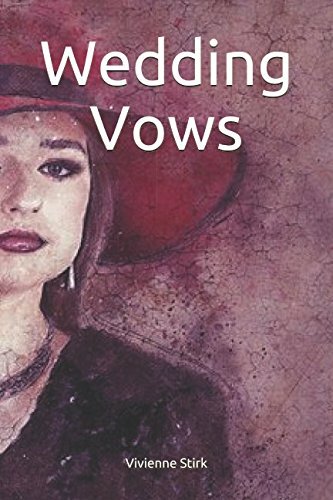 Unsure of how she can salvage her relationship, she embarks on a trip away, hoping this will be the wakeup call her husband needs, allowing her some time to work out if she really wants her struggling marriage to continue. Once on holiday, Sydney is faced with yet another dilemma when she meets Lucas. Although their encounter is only brief, Sydney is left with the sickening feeling that she has fallen in love with him. 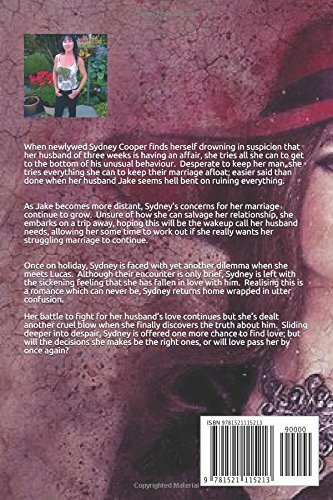 Realising this is a romance which can never be, Sydney returns home wrapped in utter confusion. Her battle to fight for her husband’s love continues but she’s dealt another cruel blow when she finally discovers the truth about him. Sliding deeper into despair, Sydney is offered one more chance to find love; but will the decisions she makes be the right ones, or will love pass her by once again?